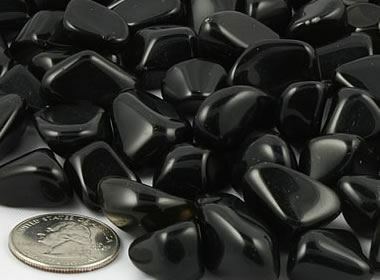 A very hard, dark green, volcanic rock, most commonly found in desert regions or their vicinity. When polished, it is extraordinarily beautiful and it was much used by Ancient Egyptian sculptors. 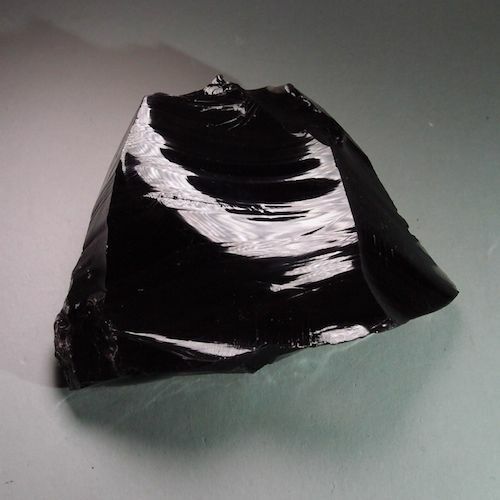 In pre-Hellenic times, obsidian chips were used as scrapers, knives and spear-heads. 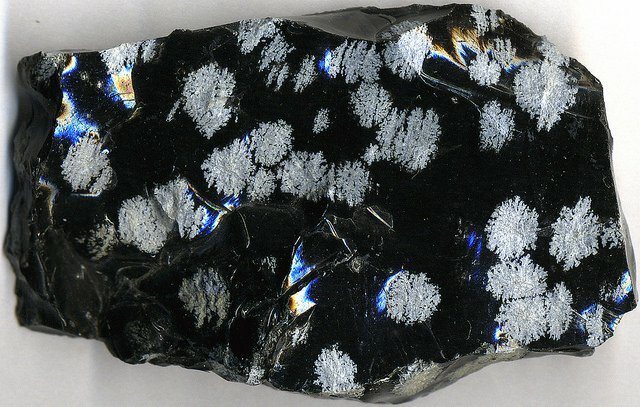 Towards the end of the Bronze Age, this metal replaced obsidian. 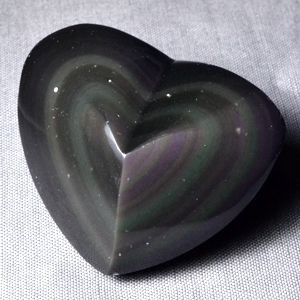 The stone’s symbolism is closely related to that of flint. 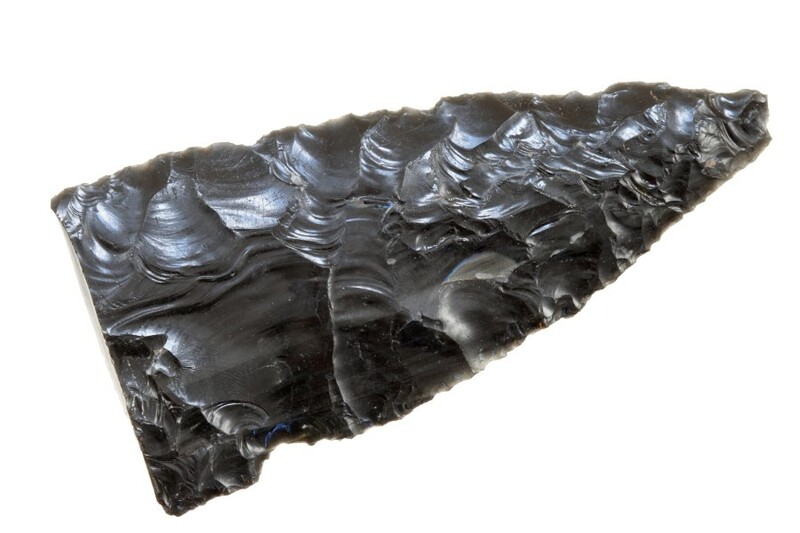 The blades of sacrificial knives were originally made of flint - or obsidian - and the stone has preserved its ‘white’ magical property among Central American Indians. 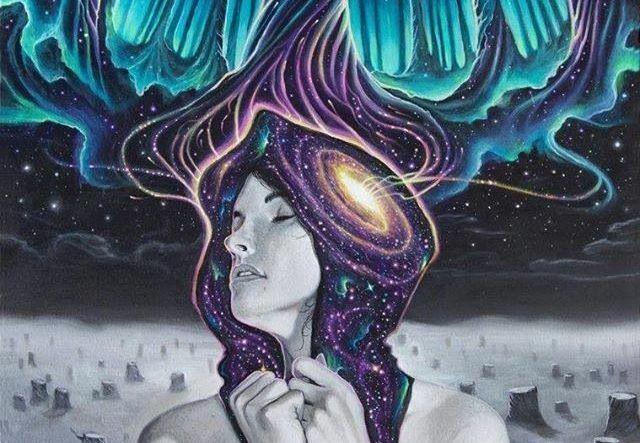 It preserves against ‘black’ magic and drives evil spirits away. 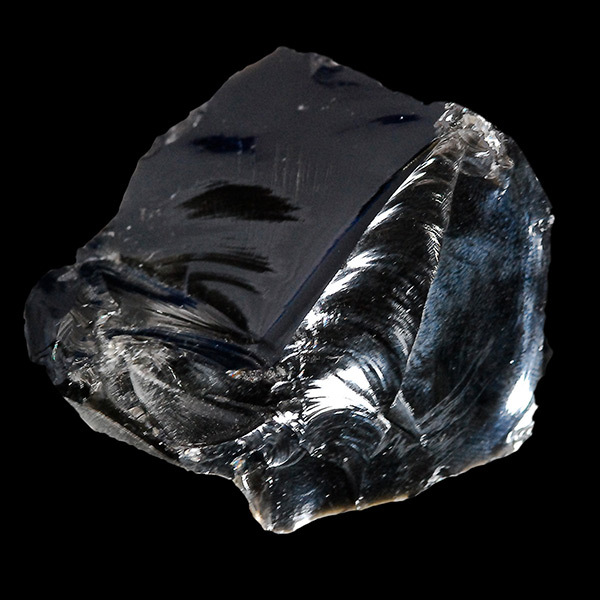 The Ancient Mexicans regarded flint as being associated with cold, darkness, the kingdom of the dead and the north. ‘Flint’ years were ruled by this symbolism and brought with them drought and famine. Mayan hieroglyphs substitute a hand for the flint. 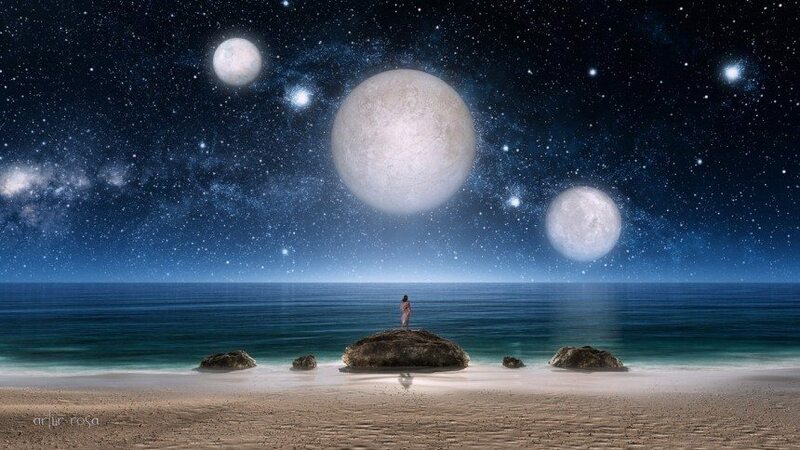 In Mexico the deified flint was the son of the goddess of the primeval man and woman, who presided over all creation. 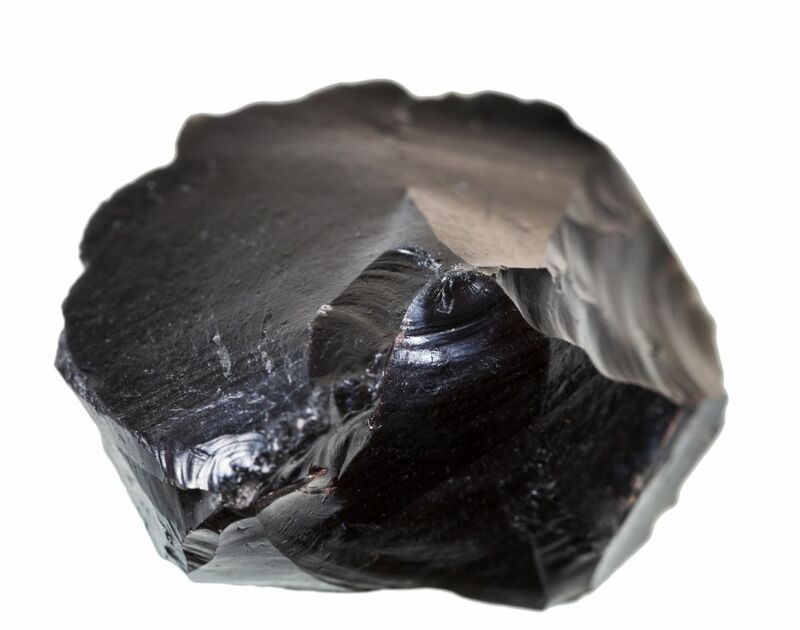 The association of contrasting functions in the same symbol is illustrated by the Aztec practice of healing cuts by covering them with a salve containing powdered obsidian. 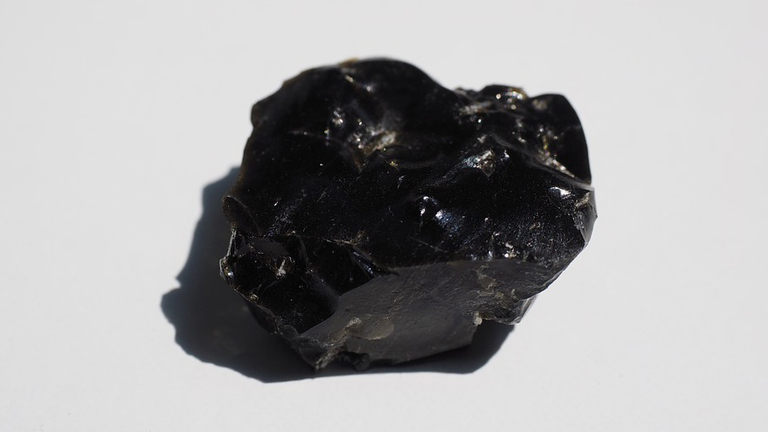 Having the power to cut open human flesh, obsidian also had the power of knitting it together again.